Go all in. There’s a table waiting for you and your friends in this Texas Hold’em game. If you want Zynga poker chips, you should buy them directly from inside the game (you can click on the "Get Chips" tab at the top of the screen - sample shown below). It's the only legal way to buy Zynga poker chips. 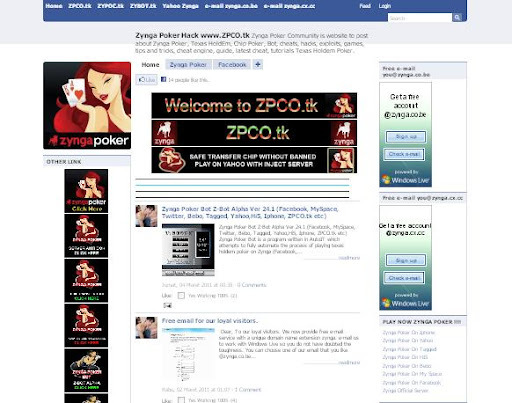 Zynga is the only authorized seller of Facebook chips (or MySpace poker chips, etc.) in its games. Everyone else is engaging in fraud and/or breaking various laws. That's why they ask you to do strange things like go to certain tables and wait for them to fold in order to get Facebook poker chips into your account. When you buy Facebook poker chips (or chips for whatever network you prefer) directly from Zynga, they immediately credit your account. That's it! By the terms of service, buying Zynga chips from a third party will result in your chip stack being reset to zero. 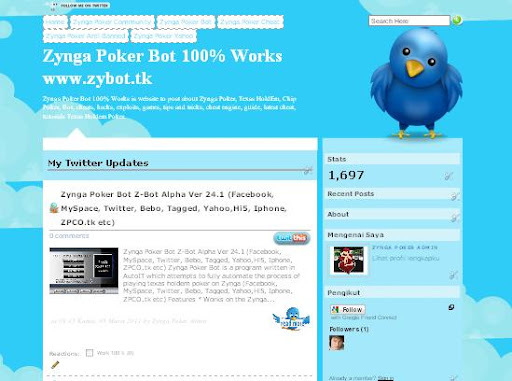 Selling Zynga chips will result in a permanent account ban and legal prosecution. We do this to keep our game fun and secure. Chip sellers have been involved with some recent hacking incidents where players wound up losing all of their Zynga chips. We want to provide top-notch service to all of our loyal players!